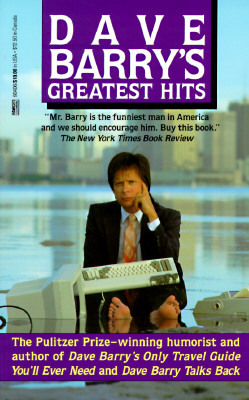 " Mr. Barry is the funniest man in America and we should encourage him. Buy this book." What Pultizer Prize-winning humorist Dave Barry did for American history in DAVE BARRY SLEPT HERE and for getting older in DAVE BARRY TURNS FORTY, he does for...everything else in America The rapacious consumer of overpriced real estate, He Man action figures, and homemade beer sounds off on all the things that make life as we know it both ridiculous and sublime. Description: Trade Paperback. Very Good +. 17th Printing. 8vo - over 7¾" - 9¾" tall. 287 pp. Nearly new, slight toning. No markings. A collection of 81 Dave Barry humor columns.